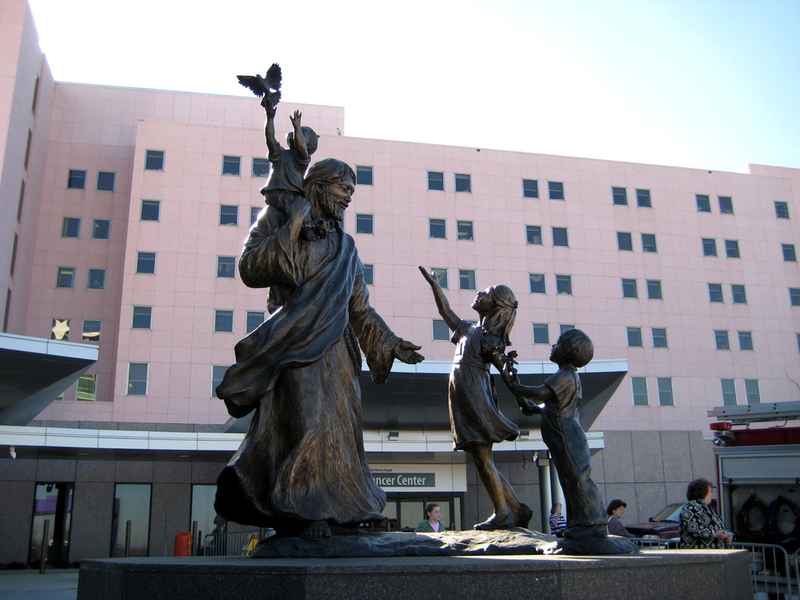 Monumental size, standing Christ interacting with three children. 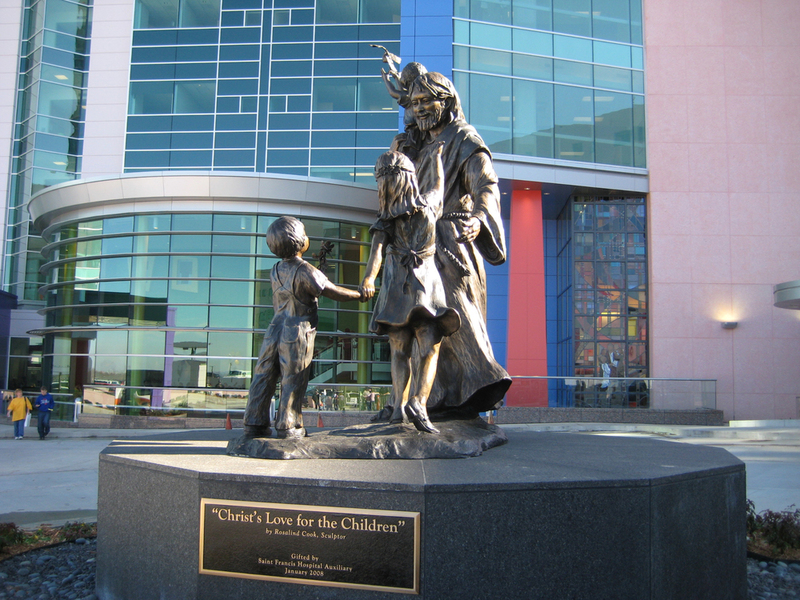 This monumental (one third larger than life-size) sculpture was commissioned by Saint Francis Children's Hospital of Tulsa, Oklahoma. It depicts the joy, love and gentleness of Christ as He interacts with three children. The youngest sits on his shoulders reaching for a dove, symbolic of the attributes of the Holy Spirit. The young girl and little boy are coming to Christ with gifts, needs, deep appreciation and love. 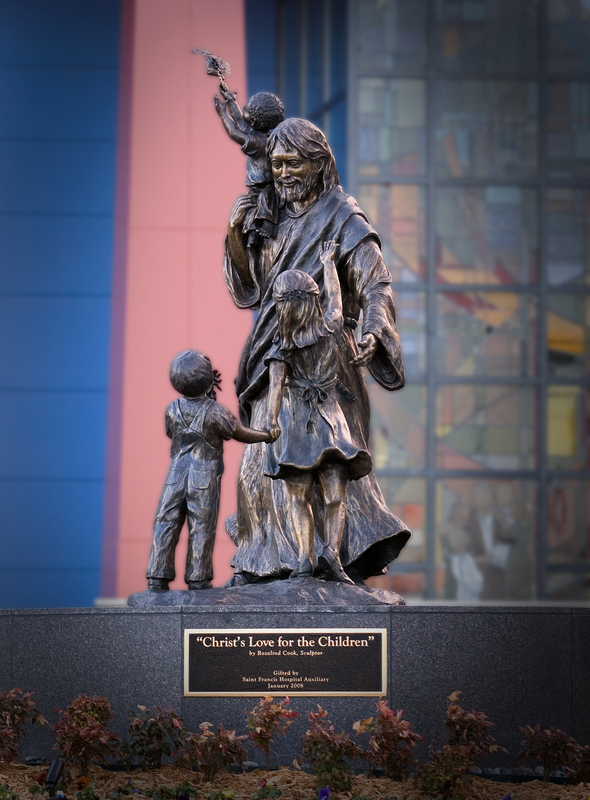 This statue was created to give the viewer assurance, comfort, hope and understanding that the Lord lovingly cares for each of us. Only one casting is left in this edition.